Executive Director Ed Morris is pleased to announce the arrival of a significant donation to the historic Calvin Jones House… a square grand piano, circa 1830. Rectangular in shape, the square or “box” piano dates to eighteenth century Europe and, before that, to the original design of the clavichord. Favored by great pianists and average citizens, they were used extensively throughout the nineteenth century. 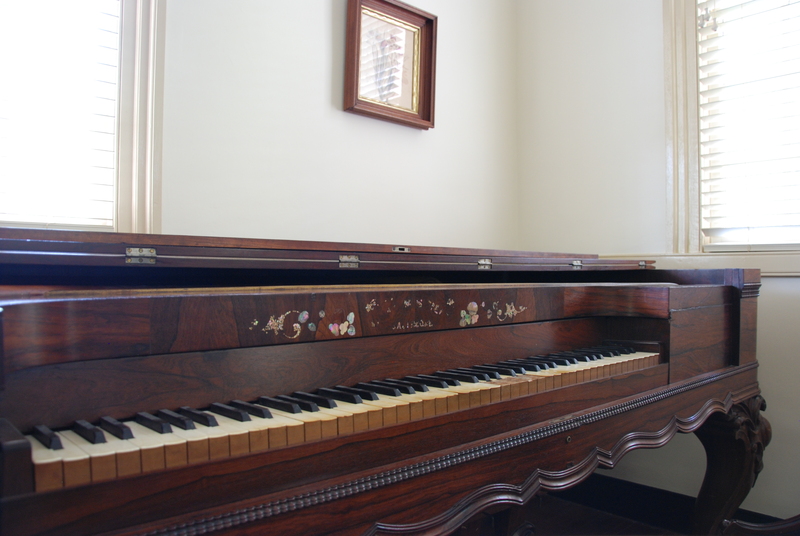 This piano is very similar to one owned by Temperance Bodie Williams Jones when she was married to Dr. Calvin Jones and living in the home that soon after became the Birthplace of Wake Forest College. This is a major acquisition. The instrument is in excellent condition, and looks beautiful beneath the front parlor windows. We are very grateful to Nancy Rooth, the generous donor who has helped us move closer to our goal of accurately recreating the original interior of the Calvin Jones House with specific artifacts, early Wake Forest heirlooms, and other period furnishings. 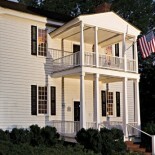 This entry was posted on July 18, 2013 by wakeforestmuseum in Period Furnishings and tagged antique piano, Calvin Jones House, Wake Forest College.